April 15, 2013 By Allyson 18 Comments This post may contain affiliate links. Read my disclosure policy. 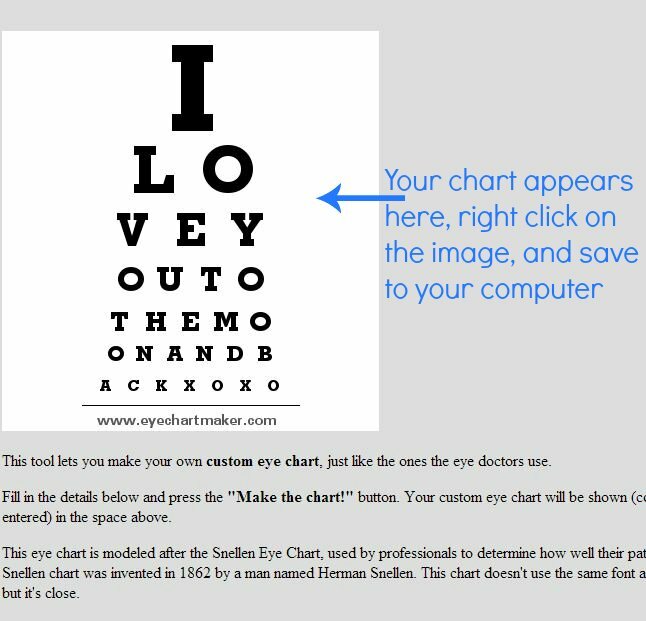 Last year when I was researching things for my gallery wall, I stumbled upon this great tool for making your own Eye Chart Art. I thought it was so cool, and started experimenting with different combinations. I loved how my son’s name looked, with his birthday, and it fit perfectly. I made one, printed it, and hung it up near his room. Everyone always compliments it, and I tell everyone how easy and super cheap (just the cost of a photo print!) it is. There are a few tips and tricks though, so I decided to share a tutorial on how to make your own! In the text box, you want to type in whatever you want your chart to display. You can experiment with different words and phrases and see what works and fits. It doesn’t accept spaces, but you can put in symbols and dashes etc. If you have extra room at the end (aka your phrase isn’t long enough), it will add random letters, and that doesn’t look great, so try to find something that fits well. Nest you are going to see your chart, and then right click and select save. Save it somewhere on your computer where you know how to find it, like in ‘My Pictures’. Okay, now you are going to go to a photo editing website called PicMonkey. Once there, you will click edit a photo at the top, and then open your picture. Next, select 8×10 in the drop down menu. You will need to expand this but dragging the little circles at the corners outward. You want to cut out the grey border, so that is not in the crop rectangle (should be outside white space). This should keep your 8×10 shape. 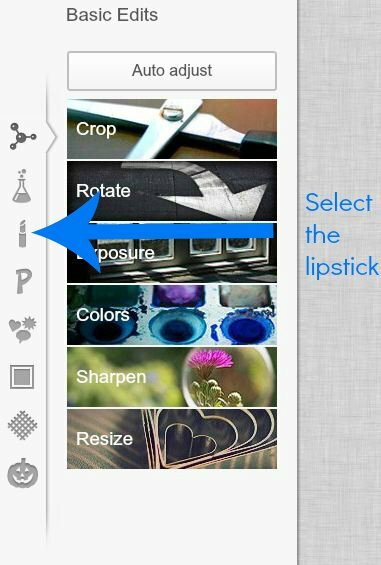 Next you will click on the lipstick picture on the left sidebar. Then you will scroll all the way down that list until you see ‘Clone’. Click on that. Now, this part might seem tricky, but it’s not. First, set the brush hardness to 100% by dragging the circle from 0, all the way right (100%). Next, click on ‘Source’ so that the source button is blue (as seen). Now, you will see a circle as your mouse pointer. 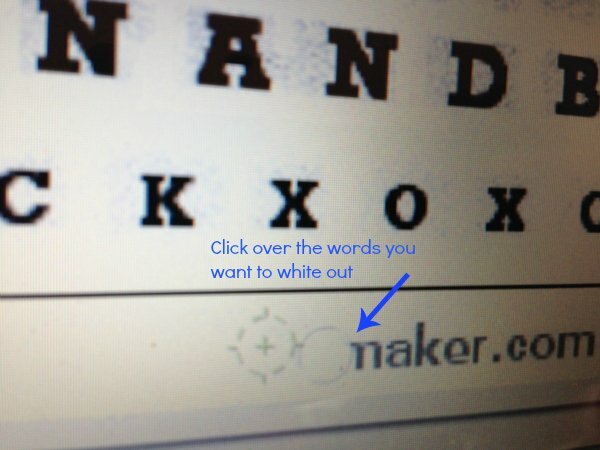 Take that circle and click next to where you see ‘www’, and click directly to the left of the first ‘w’ so that the circle is in a completely white space. After you click, a plain circle will pop up. Take that circle and put it right over the first w, and start clicking (see picture below). You will see the black starting to white out. Just continue clicking all the way over to the end until it is all whited out. Once the text is all gone hit apply (under clone) and we are ready for the next step. On the left sidebar again, click the black box for framing. I use the 2nd frame from the top, Simple Edge. I leave the settings alone because I just like the black frame, but you can do whatever you want with that by playing around with the settings. After you have your desired frame, click apply (green button under frame). Now we are going to save the photo. Click save at the top center of the screen. After you click save, this box will pop up on the left side. 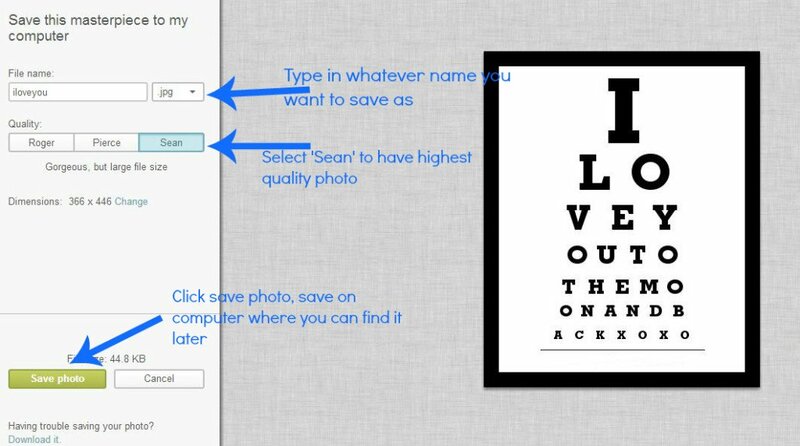 Type in whatever you want for your file name, select ‘Sean’ for the highest print quality photo, and then click save photo at the bottom. A box will pop up, and then you select the folder on your computer where you want to save it (my pictures is usually easy to navigate back to). 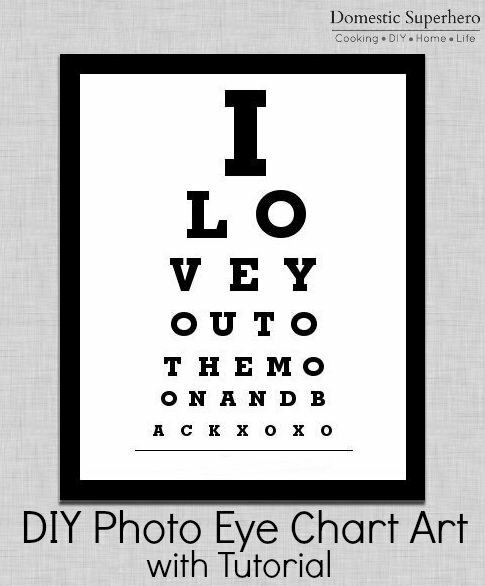 Now that your Eye Chart is saved, all you have to do is print it! You can print it at home, or load it to any photo printing website to have it printed. I used Snapfish because they were offering a free 8×10 print. You can print it in whatever size you want, but I found 8×10 was the best choice. What cute phrases have you come up with? 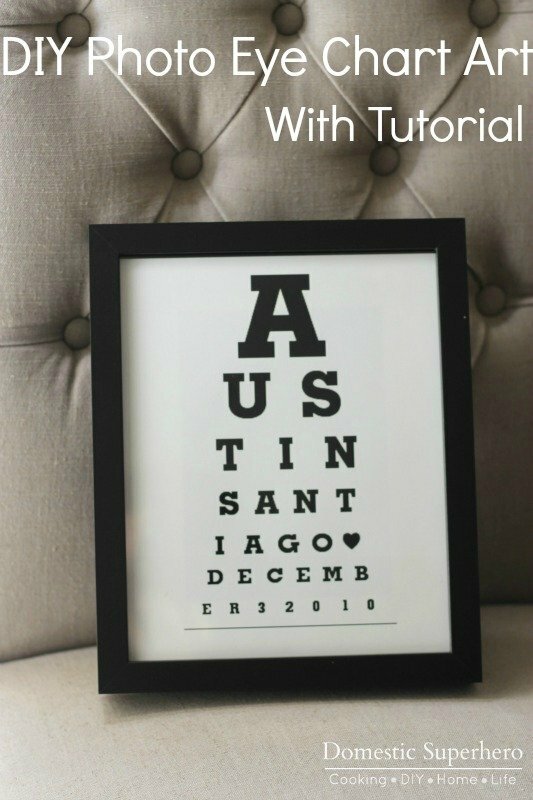 Submit your DIY Eye Chart Art over at Domestic Superhero on Facebook! 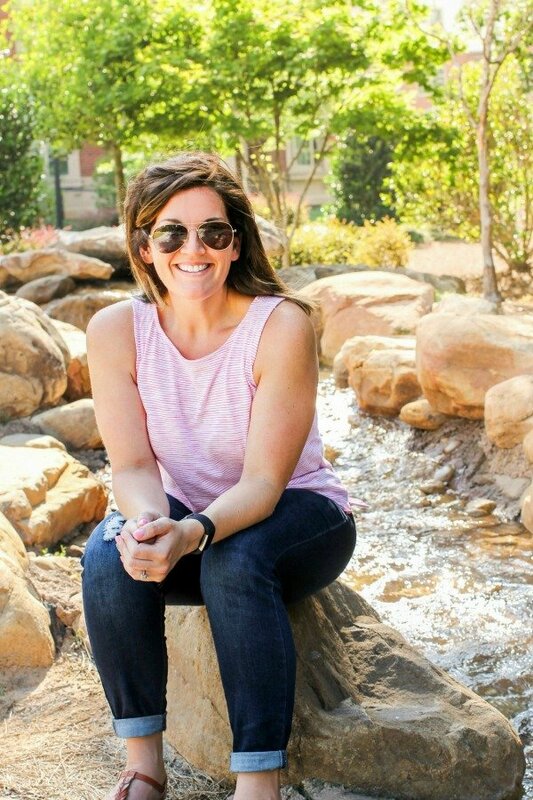 I would love to see what you come up with! 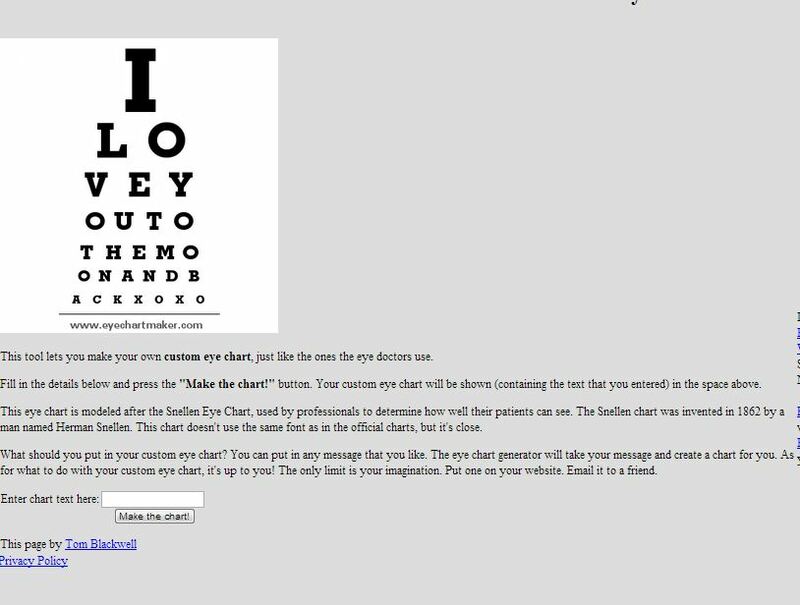 What a great tutorial – you are really clear with this. Love it! This is so cool! I have pinned it! This is so neat! And you provide a great tutorial. I need to give this a try real soon. Thanks so much for sharing at Transformed Tuesday. This is really cool, I would like to try this in the near future, I am pinning! I just made one for my son’s birthday! I am so happy to hear that, Joy! I would love if you would send me a picture through my facebook page! I would love to see it! Click here and then upload to comment! I can’t wait! I want to try this! my son’s birthday is in May, so I might make one for his bedroom too! I remember this one in your previous posts; great tutorial! Thanks for linking up at What’d You Do This Weekend? Cute, cute! Thanks for sharing. I love this! how did you get the heart? 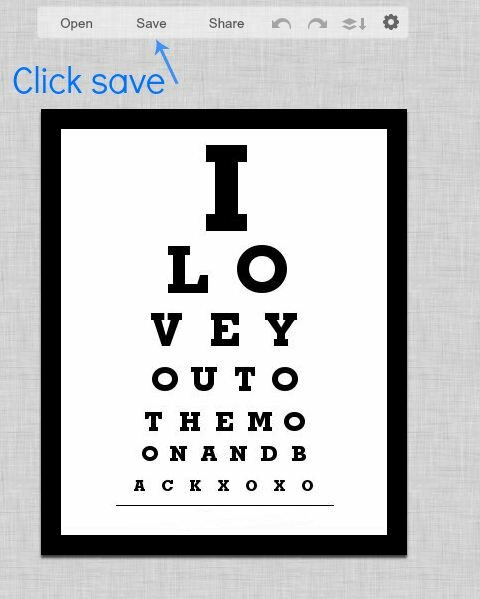 I can get this ♥ but when I hit submit It changes it to a C. that’s using the alt-3. Thanks! Please share pics via facebook if you try it! Can’t wait to see what you come up with! Lovely! How did you make the heart? Just follow these simple instructions for Windows and Macintosh computers. Windows: Press and hold the Alt key, then press 3 on the numeric keypad on the right side of your keyboard. 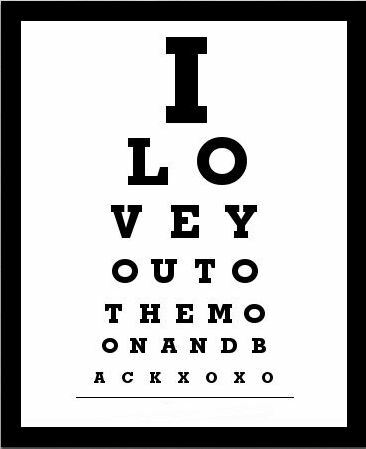 This will insert the heart symbol (♥) –Alternatively, you can just copy the heart here and paste it in your doc!